The NETGEAR LTE Modem LB2120 gives you a simple, fail-safe connectivity solution for your devices or services, avoiding disruptions in broadband when your fixed wire line goes down. Simply connect your existing wire line broadband connection to this modem to provide an automatic 4G LTE or 3G broadband backup connection. This NETGEAR 4G LTE Modem has 2x Ethernet portsâ€”one for WAN and one for LAN. It is also compact, convenient, and simple to setup. 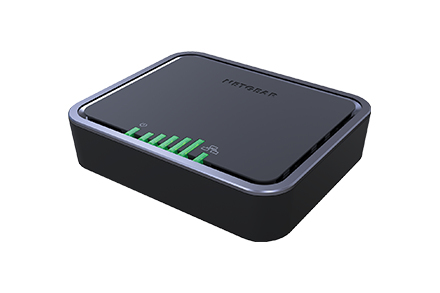 Using the NETGEAR 4G LTE Modem for broadband connectivity enables Internet access at fast speeds with the convenience of portability and ï¬‚exibility. Unlike other connectivity sources, the NETGEAR 4G LTE Modem can be easily installed in a matter of minutes, and it's ideal for a wide range of environments including rural areas, outdoors, and locations where wireline option is not readily available.